As more companies adopt email marketing as part of their overall online marketing strategies, email autoresponders are becoming all the rage. Autoresponders offer a very attractive benefit to marketers. You write the email message one time and then you can then trigger that message to be sent out multiple times, essentially squeezing much more out of your marketing efforts and budget. The best email autoresponders are highly personal, targeted and intended to entice a prospect to move further along through the sales funnel. Here are a few tips to help you craft email autoresponders that engage and convert in the coming months. The best email autoresponders are written in such a way as to convince the reader that it’s all about them. 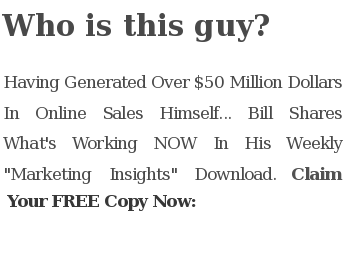 It uses their first name, such as, “Hello, John, and thank you for clicking on my free download link.” Likewise they make sure to thank the reader for taking the action they just took to trigger the email autoresponder in question. The best autoresponders may also mention the product or service the customer just purchased, the length of them that they have been a customer, or the amount of points they have if you are using gamification in your current marketing campaign. The more personalized your email autoresponders are, the more impressed readers will become and the more business activity or sales you are sure to earn. Keep in mind that the best autoresponders make the reader feel as if the autoresponder is a one-of-a-kind; a personal message written just to them. Personalization makes this possible, even if your email autoresponders end up reaching out to thousands or even millions of people. One might think that personalization solves the problem of targeting, but that’s not necessarily the case. You can personalize an email all you want, but if the overall message doesn’t resonate with the reader, the best email autoresponders will only end up being discarded. Targeting refers to subject matter; is the reader interested enough to keep up with the message from subject line to call-to-action? Your job, through research and spending time getting to know the wants and needs of those you happen to be marketing to, is to craft autoresponders that cause your readers to stop and pay attention. 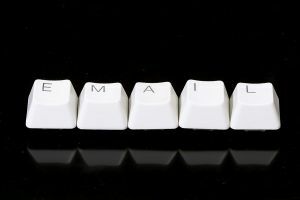 Think benefits; as in, what will the reader get out of sticking with the email autoresponders you send? The key is to send useful autoresponders; in other words, have a purpose with each message, even if that message is just a tip, suggestion, news update, information or entertainment. That autoresponder is not only personalized and targeted, but the overall message is useful. An Internet-savvy reader of that message may even pass it along to all of his/her friends and followers on social media, thus causing the message to go viral. Always tell your readers what to do and always provide them with another benefit to take the next step to continue further along the sales pipeline. The best autoresponders are written with dynamic content embedded into single messages that are designed to target those thousands or millions of people we mentioned earlier. Dynamic content refers to bits of text, videos and/or images that are meant to target different types of individuals. For example, consider the following message that is triggered when prospects opt-in to a newsletter. In the above example, the dynamic content is written in brackets. The first bracket will be sent to those prospects whose IP address is not recognized by the email autoresponders system. The second bracket will be reserved for those who have done business with the company most recently; and the third is reserved for those customers who haven’t experienced any engagement with the company in some time. The best email autoresponders platforms allow for dynamic content to be written and submitted and you are encouraged to do so if you want your triggered messages to truly hit their mark. These are the most recent trends in email autoresponders in 2014; but you never know when these trends may become obsolete. Keep spying on the competition, clicking their links, recording and analyzing their autoresponders and keep researching your market to come up with the best email autoresponders that always hit their mark and remain up-to-date in the coming months and years. This entry was posted in News and tagged best email autoresponders, email autoresponders by Bill. Bookmark the permalink.